The 2018 USA Volleyball Collegiate National Team – Europe departs today, on America’s Independence Day national holiday, for a 12-day European training trip. Led by Louisville head coach Dani Busboom-Kelly, the 12-woman roster will land in Venice, Italy on July 5th, and will train and scrimmage until they begin play in the Global Challenge from July 10th-13th in Pula, Croatia. There has been one big change to the roster: UCLA outside hitter MacKenzie May, who was originally selected for the squad, withdrew. 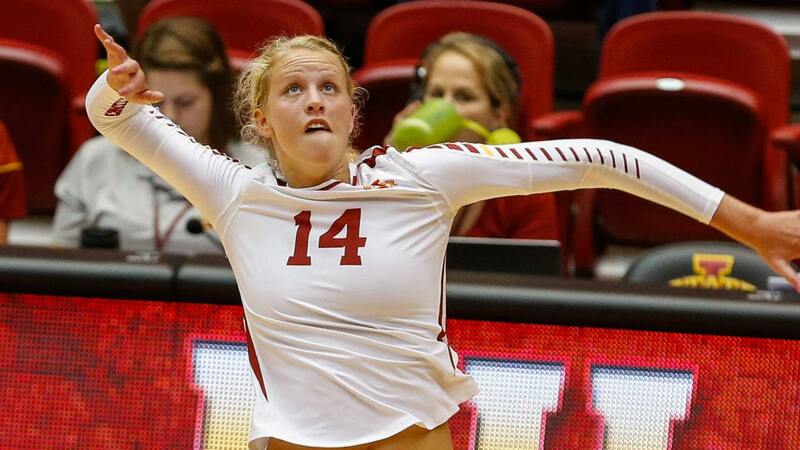 She has been replaced by Iowa State outside hitter Jess Schaben, a fellow native-Iowan, on the roster. The Global Challenge is organized by the promotional company Bring It USA, and is now in its 14th edition. The tournament will feature a 23 & under division (where the U.S. Collegiate National Team will compete) and a 17 & under division. There will be 7 teams competing in the tournament. Other American collegiate rosters includes a Mountain West Conference all-star team, two teams organized by Bring it On Productions, a “USA East Coast” squad that is a Patriot League all-star team, a Croatia Select roster, and a squad from PVK Olymp Praha in Prague, Czech Republic. The two European-based teams are technically not U23 rosters, but are very close. The U17 tournament features a more balanced international field, with just 3 American teams among 9 participants. A Hungarian junior team and a junior squad from famed Italian club Modena are among the participants in that tournament.